Genie® trailer-mounted Z™-booms feature outstanding operating envelope, making them your best value to reach jobs high and low. The TZ™-50 features the exclusive Genie® Automatic Levelling System™ for self-levelling on any terrain, resulting in a faster setup that gets the job started – and finished – quicker. 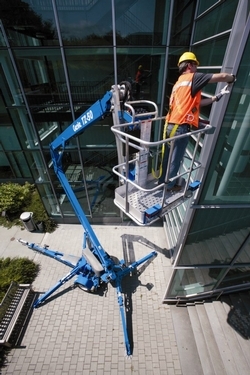 With easy-to-tow mobility and simple pictograph controls, it’s no wonder that Genie® trailer-mounted Z™ booms take productivity to new heights.